Providing you the best range of chocolate wafer packaging machine, high speed candy pillow packaging machine, chocolate packaging machine, single twist candy packing machine, cup cake packaging machine and hard candy packaging machine with effective & timely delivery. Capacity 25 to 150 packs/min,Upto 400 with PLC drive. 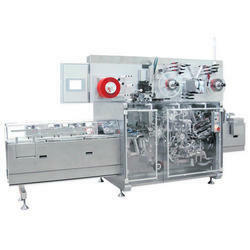 We are one of the renowned manufacturers of Chocolate Wafer Packaging Machine. 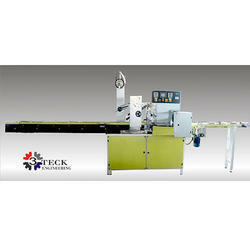 This offered machine is designed with long and automatic high quality conveyor and offers central seal packing facility. This offered machine is strictly checked on various parameters to ensure speedy and reliable packing operations especially for chocolate bars. 25 to 150 packs/min. Upto 400 with PLC drive. Machine speeds package dimensions may vary depending upon physical characters, shape and size of product as well as properties, gauge or thickness of flexible packaging material. Weight Approximate 1200 Kg, with vibratory feeder, changeable candy feeding disc, lug conveyor. We are offering High Speed Candy Pillow Packaging Machine to our clients. The vibratory feeder takes the candies from ss hopper; the chute removes the dust and broken pieces and feeds the desired candies to the disc. This detachable disc has the precise shape of candies which goes to the lug conveyor. The wrapping material is released from the feed unit, passes through the rollers when the photo-cell mark is constantly monitored. The firm makes a continuous tube in which the lug conveyor positions the candies. This continuous tube is sealed and guided by pairs of pulling and sealing rollers. The cross sealer seals the individual packs and having rag - sag knife fixed Inside the MSS sealer, separates the individual packs or gives perforation as desired. We are offering Chocolate Packaging Machine to our clients. 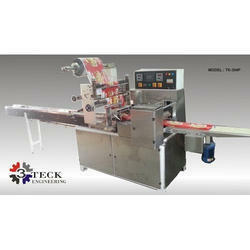 We are offering Single Twist Candy Packing Machine to our clients. We are offering Cup Cake Packaging Machine to our clients. We are offering Hard Candy Packaging Machine to our clients. 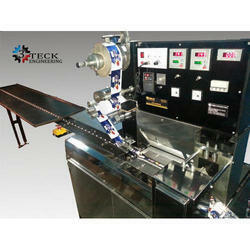 We are offering High Speed Candy Packaging Machine to our clients. Panned goods, chewing gums, caramels, center fresh, etc. 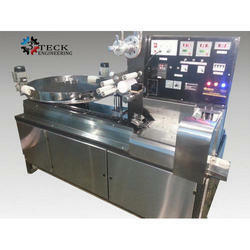 We are offering Jelly Candy Packaging Machine to our clients. 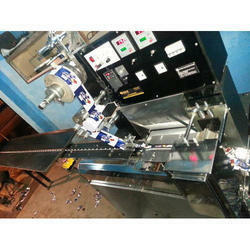 We are offering Chocolate Bar Packaging Machine to our clients. 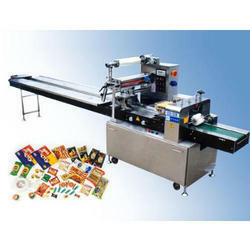 We are offering Candy Packaging Machine to our clients. We are offering Soap Packaging Machine to our clients. We are offering Candy Pillow Packaging Machine to our clients. 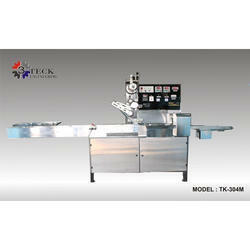 We are offering Biscuit Packaging Machine to our clients. 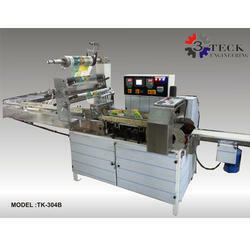 We are offering Confectionery Packaging Machine to our clients. We are offering Chikki Packaging Machine to our clients. We are offering Jelly Packaging Machine to our clients.